Newcastle University, in conjunction with Tyne & Wear Archives & Museums (TWAM), wishes to appoint an ethnographic curatorial consultant for the Hatton Gallery’s Redevelopment Project. This is to deliver the interpretation for a small display of African art objects (the Fred Uhlman collection), which is part of Heritage Lottery funded capital redevelopment of the gallery. 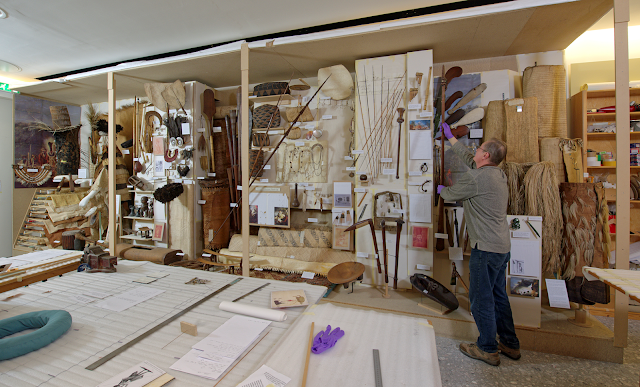 The work comprises writing an introductory panel about Uhlman, the source of the collection and what it represents, and captions for 20 artefacts, each up to sixty words long. The consultancy will be undertaken this year with the exhibition installation scheduled for July 2017. Please contact Lindy Gilliland for the tender brief, and for further information, by 27 July. Tender returns should be received by 18 August 2016. Coinciding with the first major UK exhibition dedicated to contemporary African fashion, Fashion Cities Africa, this one-day conference will explore the possibilities and limitations of dress and fashion history to discuss current and past narratives in African fashion. Panels will focus on the construction of African fashion histories; the role of African diasporas in the translation of African fashions; new directions in collecting and curating African fashion and the evolution of new platforms for the dissemination of African fashion. Cool: Style Narratives of the African Diaspora), Erica de Greef, Angela M Jansen (author, Moroccan Fashion, Design, Tradition and Modernity), Heather Akou (author, The Politics of Dress in Somali Culture) and Victoria Rovine (author, African Fashion, Global Style). Transforming People to Transform Museums, is a national conference exploring how heritage and arts organisations are reacting to new challenges through radical approaches in partnership working, workforce development and the use of museum and gallery spaces. Are you a change-maker in your organisation? Have you got big ideas about how to transform the face of heritage and the arts? We want to hear from you. We are looking for submissions from all career levels and all sizes of organisation. Submissions will be welcomed that explore new ways of partnership working, workforce development and innovative use of spaces. Submissions to be emailed to training.museum@colchester.gov.uk by 5pm on Monday 18th July. All submissions will be considered and we shall inform successful applicants by Friday 29th July. All presenters will receive free entry to the conference on the day of their session. (NB: the conference cost for delegates will be £50 for one day or £80 for both days). MEG’s latest Occasional Paper (number 5) has just been published. Cook-Voyage Collections of ‘Artificial Curiosities’ in Britain and Ireland, 1771–2015 comprises detailed accounts of some of the most important ethnographic collections from Cook voyages, including those of the British Museum, the University of Cambridge Museum of Archaeology and Anthrpology, the University of Oxford’s Pitt Rivers Museum, the National Museum of Ireland (ex Trinity College Dublin), and National Museums Scotland. As well as providing a wealth of new information about what was collected on the voyages and how it was distributed - including illustrated accounts of recently identified objects at the British Museum, the Bowes Museum, and elsewhere - the volume also contains detailed accounts of what has been done with the collections from the time of their arrival in Britain and Ireland in the 1770s through to today. Contents: 300 pp., 106 black-and-white figures; Jeremy Coote, ‘Introduction’; Jennifer Newell, ‘Revisiting Cook at the British Museum’; Amiria Salmond, ‘Artefacts of Encounter: The Cook-Voyage Collections in Cambridge’; Jeremy Coote, ‘The Cook-Voyage Collections at Oxford, 1772-2015’; Rachel Hand, ‘“A Number of Highly Interesting Objects”: The Cook-Voyage Collections of Trinity College Dublin’; Dale Idiens and Chantal Knowles, ‘Cook-Voyage Collections in Edinburgh, 1775–2011’; Leslie Jessop, ‘Cook-Voyage Collections in North-East England, with a Preliminary Report on a Group of Māori Pendants Apparently Traceable to the First Voyage’; Adrienne L. Kaeppler, ‘From the South Seas to the World (via London)’. The volume is available from: Sue Giles (MEG Publications), Senior World Cultures Curator, Bristol City Museum and Art Gallery, Queen’s Road, Bristol BS8 1RL; sue.giles@bristol.gov.uk; UK, £17.50; Europe, £22.00; World, £26.00 (including postage and packing). 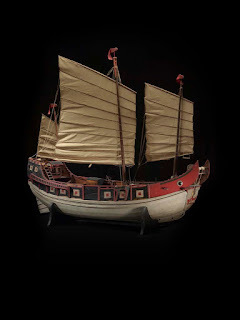 As a result of the overseas trading contacts in the 19th and 20th Century between western European countries and China many ship models of junks and other traditional vessels found their way into public and private collections. The authentic models represent the rich and intriguing maritime history of China and serve as a source of knowledge, inspiration and public admiration. In order to better understand these models the initiating museums aim to make an inventory of contemporary traditional Chinese ship models in western European collections and to produce an academic and art-historical valuation, resulting in a traveling exhibition and catalogue. Does your museum hold relevant Chinese ship models? Please join the project and learn more about the traditional Chinese ships and shipping. Initiating Museums: China Maritime Museum (Shanghai/Peoples Republic of China), Institute of Ancient Chinese Ships (Shanghai/Peoples Republic of China), MAS/Museum aan de Stroom (Antwerp/Belgium), Maritime Museum Rotterdam (the Netherlands). Collaborating Museums: National Maritime Museum (London/Great Britain), National Museum of Ethnography (Leiden/the Netherlands), Tropenmuseum (Amsterdam/the Netherlands).